“I’m knee deep in my opera idea TROUBLE IN TAHITI and loving it,” wrote Leonard Bernstein in a letter to Helen Coates, his childhood-piano-teacher-turned-personal-secretary. The year was 1951, and Bernstein was happily ensconced in bucolic Cuernavaca, Mexico, seeking inspiration and solitude as he worked on his latest project. “I am discovering the beauty of aloneness,” he continued. 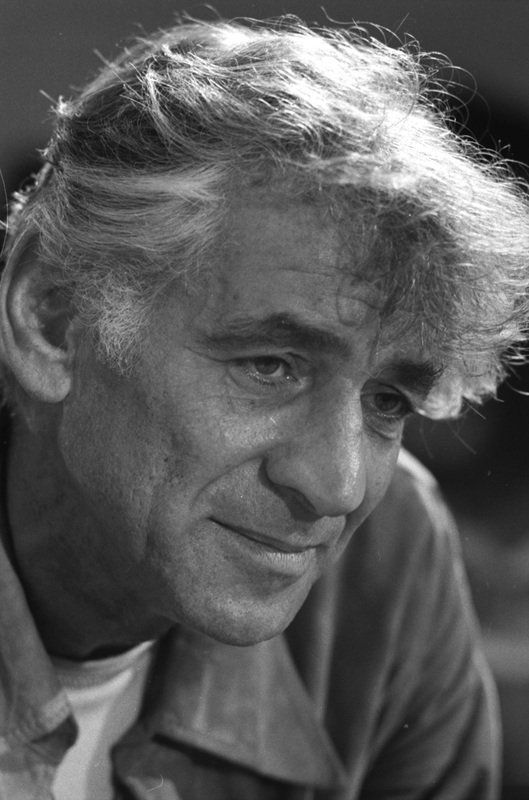 “I’ve cut off my hair, eat like a pig, sit in my beloved Laurel of India tree, and find that there is a lot of life I know nothing about, especially the life inside me.” Aloneness was a rarity for Bernstein. He was a perennially busy man, in constant demand as a conductor, composer, and educator. His multifaceted musical career, combined with his outspoken involvement in politics and general embrace of public life, made him into a person who seemed inseparable from the broader context in which he lived and worked. composer (an unusual choice, as he typically worked with a librettist). Just as Bernstein intermingled individual experience with cultural context in his life, he did so in his art as well. of this skill, especially in his Young People’s Concerts with the Philharmonic, broadcast on CBS between 1958 and 1972. Bernstein began Tahiti—his first opera—in April 1951, and continued to work on it during his honeymoon later that year. The opera tells the story of an ordinary yet miserable day in the life of Sam and Dinah, a young couple living in an unnamed suburb. Their conformist lives fail to bring them happiness; Dinah feels stiflingly trapped in her “little white house” and her loveless marriage to the thickheaded Sam. Many of Bernstein’s biographers have speculated that the characters are based upon either his own marriage or that of his parents (his father’s name was Sam, and his grandmother’s was Dinah). But Tahiti is less about the particulars of Sam and Dinah’s relationship than it is a critique of the circumstances that make them so unhappy: cookie-cutter suburbia, rampant consumerism, and what feminist thinkers like Betty Friedan referred to as “the problem that has no name,” the pervasive sense of emptiness among well-off suburban women in post-World War II America. Musical details emphasize Sam and Dinah’s ordinariness, implying that anyone could end up in similar straits. The couple uses unpretentious language that Bernstein called “Americanese,” while the Trio, which he described as “a Greek chorus born of the radio commercial,” sings relentlessly cheery tunes that sound like advertising jingles. It’s intriguing to imagine Bernstein composing this music in Cuernavaca, as far away from American suburbia as he could get: alone, in another country, in an atmosphere of unstructured time and self-reflection. performed in a version for two singers and piano four-hands. Several orchestrators, including Bright Sheng and Bruce Coughlin, have arranged the piece as well. Like Tahiti, Arias is about love, marriage, and interpersonal relationships. Bernstein wrote most of the libretto himself and attributed one song, “Little Smary,” to his mother. The piece is rife with further familial connections: “Little Smary” is dedicated to Bernstein’s sister, Shirley, and the prelude contains music that he originally wrote for his daughter’s wedding. On October 30, 1988, during the same year that he wrote Arias, Bernstein penned an essay in the New York Times expressing intense frustration with the national political climate, particularly in relation to the upcoming Bush v. Dukakis presidential election. “I’ve been appalled at the passivity of the electorate,” he wrote, “at the degeneration of our language, at the lulling, the brainwashing, the disinformation.” He reiterated his support for the achievements—now under threat—of those who fought “against sweatshops, child labor, racism, bigotry.” And he cautioned readers not to forget the Red Scare and McCarthyism, some of the darkest moments in recent American history. Given his own experience as a target of McCarthy-era blacklists and FBI surveillance, it seems clear that he was referencing not just the nation’s history, but also his own. 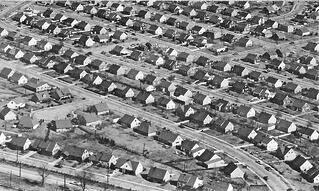 In short, Bernstein saw the moment as a perilously fragile one, in which the progressive strides of recent decades were at risk of being dismantled. This sense of disillusionment pervades the musical language of Arias. The song cycle perches musical charm and sophistication atop a shaky foundation of ambivalence, despair, and regret. In “Love Song,” for instance, the singers begin by stagily describing what they are singing—“Funny the way it falls, this melody”—and then segue into a recitation of the uneasy questions underlying their marriage and the world in which they live. “Why are the nations raging? / Am I aging?” they ask. “How come we’ve stuck together?” And, ultimately, “Aren’t all these questions pointless?” The duet between two voices is mirrored by a sort of meta-duet between personal and social narratives. Via these characters, Bernstein seems to be looking backward over both the course of his own life and the unfolding of the 20th century. Another, more abstract question arises: why use family stories to express a social critique? 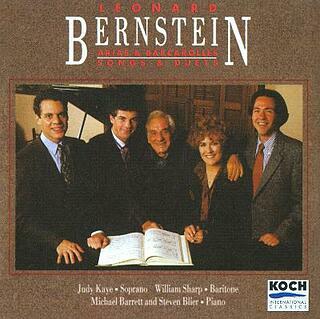 Perhaps by doing so, Bernstein reveals another way in which these works are products of their time. The idea that “the personal is political” was a key slogan of the progressive social movements that Bernstein supported. Originating in second-wave feminism, it was equally applicable to other identity-based social movements, including those fighting for racial justice, gay rights, and the rights of other marginalized groups. (And as a Jewish, non-heterosexual leftist, Bernstein certainly had an acute understanding of the experience of social marginalization.) In Bernstein’s music, this political strategy becomes an artistic strategy, too. Simultaneously personal and political, Trouble in Tahiti and Arias & Barcarolles both illuminate the complicated interplay between art, artist, and society, and show how autobiography and history blend into one another. Purchase Trouble in Tahiti tickets today! This article was originally published in the Spring 2018 issue of Coda Magazine. Images (top to bottom): Leonard Bernstein in 1971, Library of Congress (U.S. News & World Report Collection; Levittown, a suburb of New York City on Long Island, in the 1950s, Mark Mathosian; CD cover for Arias & Barcarolles, Koch International Classics.